Host Connor McKnight prepares for pitches and catchers to report, looks at team projections for the 2018 season, and has a chat with James Fegan of The Athletic. Connor McKnight hosts this week’s White Sox Weekly. Connor discusses a few Minor League additions for the Sox, as well as free agency around the MLB. Connor brings back some of the best interviews from Sox Fest 2018 featuring Sox Skipper Ricky Renteria, Sox prospect Jake Burger, and Pitcher Carlos Rodon. Connor McKnight hosts a special show live at Sox Fest 2018! In this hour, Connor sits down with White Sox Manager Ricky Renteria, and White Sox Third Base prospect, Jake Burger. Connor also shares an interview he had at the start of Sox Fest 2018 with Sox Right Field prospect, Eloy Jimenez. Connor McKnight hosts a special show live at Sox Fest 2018! In this hour, Connor sits down with pitcher, Lucas Giolito, and White Sox TV announcer Jason Benetti. Connor McKnight hosts a special show live at Sox Fest 2018! 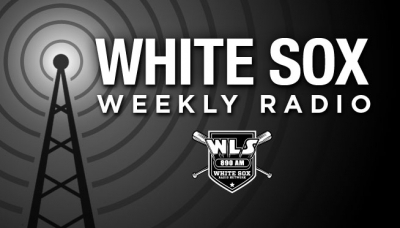 In this hour, Connor sits down with Nicky Delmonico, and Carlos Rodon of the White Sox, and chats with John Howell, of the Big John and Ray Show on WLS. Connor McKnight hosts a special show live at Sox Fest 2018! In this hour, Connor sits down with Sox shortstop, Tim Anderson. Brendan Greeley of the Steve Dahl Show also stops by and chats with Connor, and some fans at Sox Fest 2018. Connor McKnight hosts this week’s White Sox Weekly. Connor discusses free agency, and arbitration numbers for the White Sox. Connor also chats with Collin Whitchurch, of BP Southside about the Sox 25 man roster. McKnight brings you the latest news from the hitters camp, including news of “brewing bro-mances,” as well as the MLB trying to speed up the game in 2018. Connor McKnight hosts this week’s White Sox Weekly. Connor discusses some off-season moves, including the signing of Miguel Gonzalez, and Jose Rondon. Connor also talks with Chris Getz, the Director of Player Development for the White Sox, and newly signed Sox reliever, Joakim Soria. Connor McKnight hosts this week’s White Sox Weekly. Connor discusses the recent trade which gave the Sox bullpen two relievers. He also touches on a few rumors regarding the Sox that are circulating around the MLB. Connor’s first guest of the new year is James Fegan, of The Athletic, they discuss the recent trade, as well as other White Sox news. Connor McKnight hosts this week’s special New Year’s Eve edition of White Sox Weekly. This off season, Connor has broken down each position for the 2017 White Sox. This week, he wraps up the positions, with the starting rotation. Connor also goes through the new ZiPS projections for the 2018 White Sox. Connor also touches on recent rumors and reports about the White Sox, as well as news around Major League Baseball. Connor McKnight hosts this week’s special Christmas Eve edition of White Sox Weekly. This off season, Connor will break down each position for the 2017 White Sox. This week, it’s Right Field. Connor also revisits his interview with White Sox Minor League Pitching Coach Matt Zaleski. Host Connor McKnight speaks this week with Scott Merkin of MLB.com about a potential move by the Sox to acquire Manny Machado from the Orioles. Connor McKnight hosts this week’s White Sox Weekly. White Sox minor league affiliate Kannapolis Intimidators manager Justin Jirschele, the youngest manager in professional baseball, joins Connor. The Review Preview series continues this week with Connor’s in depth look at the ball players of center field. Connor McKnight hosts this week’s White Sox Weekly. Connor talks about the White Sox four non-tendered players: Al Alburquerque, Alen Hanson, Jake Petricka, and Zach Putnam. The Review Preview series continues with Connor’s in depth look at the ball players of left field. Connor McKnight hosts this week’s White Sox Weekly. Connor made a visit to the Arizona Fall League, where he spoke with Cather, Seby Zavala, Pitcher, Jace Fry, and Pitching Coach, Matt Zaleski. Connor also talks about the recent Atlanta Braves sanctions, as well as the White Sox being ranked the number 1 farm system in all of baseball by MLB.com’s Jim Callis. Connor McKnight hosts this week’s White Sox Weekly. This off season, Connor will break down each position for the 2017 White Sox. This week, it’s third base. Connor made a visit to the Arizona Fall League, where he spoke with pitcher Connor Walsh. Connor also checks in with James Fegan, of The Athletic to talk about the GM meetings, including the recent trade the White Sox made with the Seattle Mariners for pitcher Thyago Vieira. 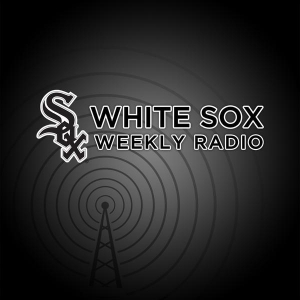 Connor McKnight hosts this week’s White Sox Weekly. This off season, Connor will break down each position for the 2017 White Sox. This week, it’s shortstop. Connor made a visit to the Arizona Fall League, where he spoke with Outfielder Charlie Tilson, and Shortstop Danny Mendick. Connor McKnight hosts this week’s White Sox Weekly. It’s the first oral history episode of the offseason, focusing on former White Sox Pitcher, Orlando Hernandez getting out of a bases loaded, no out jam in the 2005 ALDS. Connor relives “El Duque’s” performance with former White Sox General Manager, and current Executive Vice President, Kenny Williams, and White Sox Pitching Coach, Don Cooper. Connor McKnight hosts this week’s White Sox Weekly. This off season, Connor will break down each position for the 2017 White Sox. This week, it’s second base. Connor also talks with Scott Merkin, of MLB.com. Connor McKnight hosts this week’s White Sox Weekly. This off season, Connor will break down each position for the 2017 White Sox, starting this week, with the catchers. Connor also talks with the White Sox Director of Player Development, Chris Getz. Machado: On the block and on the way to the White Sox?